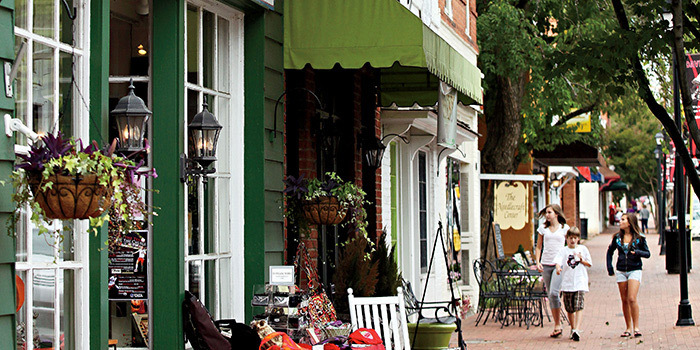 With all of the red brick, white columns, and picturesque historic homes, Davidson can seem like some bucolic dream of Southern small-town life. But the home of Davidson College, and nearly 12,000 residents, is worldly beyond the town’s modest size. The downtown brims with local businesses, and because of its geographic footprint—with campus to the east and Lake Norman to the west—Davidson is effectively boxed in, keeping downtown tiny and sprawl to a minimum.